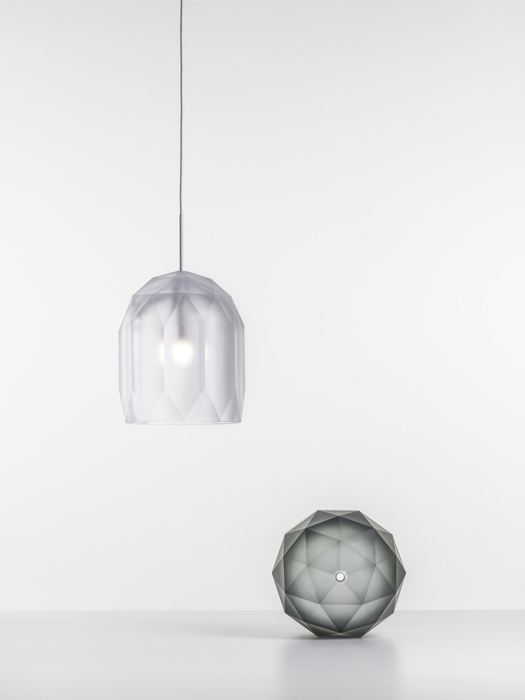 Polygons pendant lighting is the third collection to emerge from our studio designed for Lasvit. 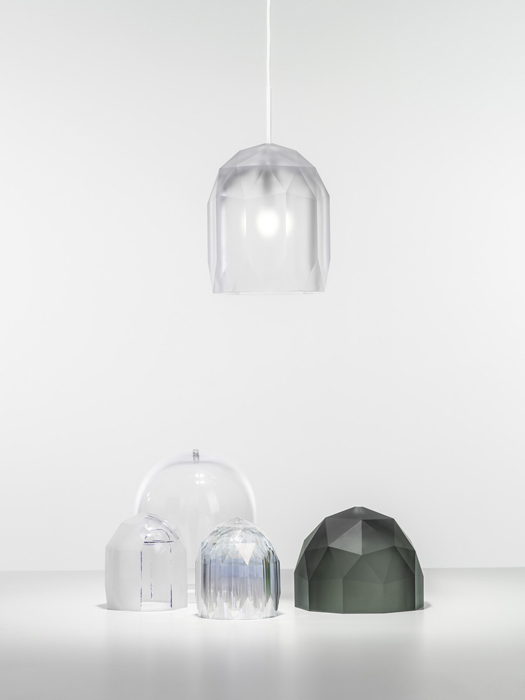 Inspiration for the series can be traced back to the Czech historical tradition of glass cutting into hand blown glass, replacing this technique with contrasting mathematical modelling. 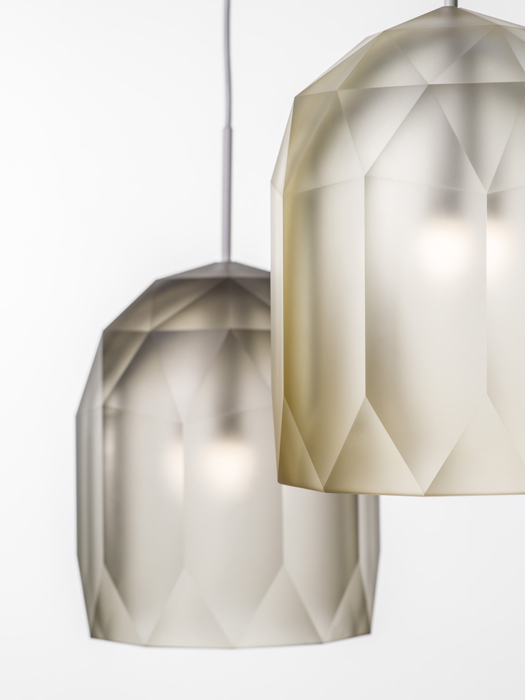 This apparent contradiction, coupled with the non-traditional light colours selected, add a sense of mystery and eeriness to the Polygons collection. “We were fascinated by working with a huge piece of glass as well as with the material and hand cutting which enjoys a huge tradition here. We tried to place this classic craft technique in a current context,” the designers explain. 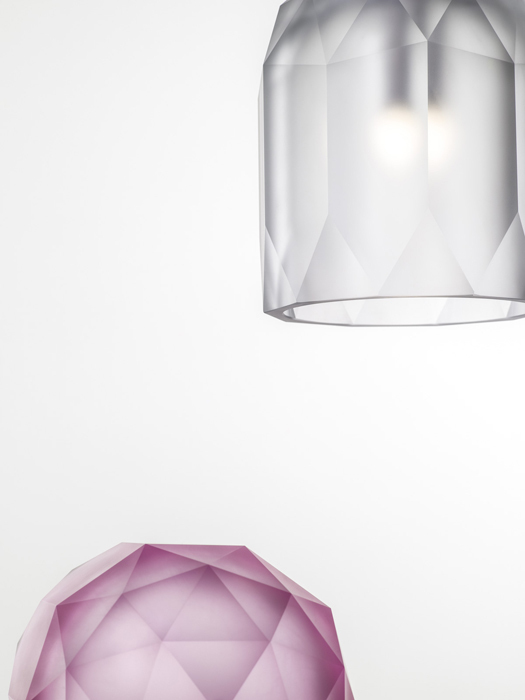 The name of the series refers to the shape of the light designed by 3D modelling on a computer however which is achieved using the classic glass cutting technique. “When coming up with the design, we were inspired among other things by old cut vases which are highly decorative,”. Unlike previous collections, this time around the designers went for a more traditional lamp shade which conceals the light source. The cut mass of glass leads the light beautifully. During the day the light breaks gently on the surface of the lampshade, however when fully lit the décor of the cut glass is shown in its full glory. 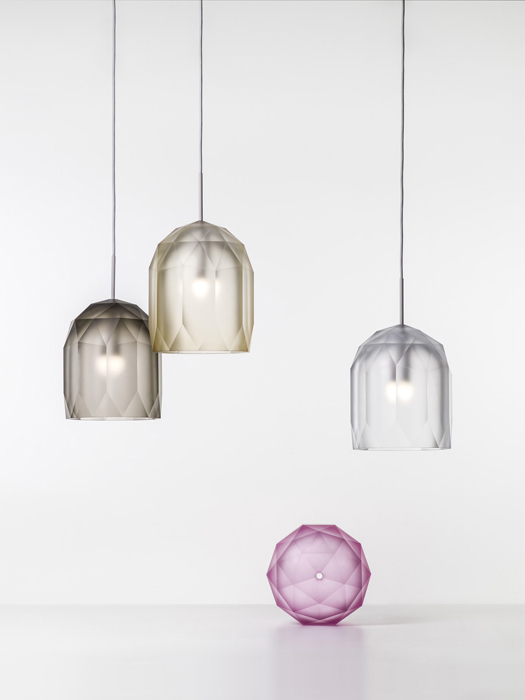 On top of this, the unusual shades of colour selected, which are rarely used in glass blowing, ensure that Polygons convey a very friendly impression inside an interior. Typical amber has been replaced with a lighter shade which the designers have called champagne. Crystal, smoke and light pink are also complemented by an olive shade which gives the whole collection a hint of mysticism.